This MSA Ultra Elite Full Face Mask has a standard Rd40 connection in accordance to EN148-1. Choose from a standard mask, a small mask, one with a transponder, one with a silicone mask body or one with an EZ-don Nomex Harness. Please note: that the image is for illustration purpose only and may differ from actual product. The MSA Ultra Elite applies the latest state-of-the-art technology to create a new standard of quality which is directly inspired by its predecessor – the MSA 3S. This MSA full face mask was developed in co-operation with many fire services and large industrial organisations to provide a high level of performance in respiratory protection. It can be used in various applications such as civil protection, fire services and all industries. Please Note: Filters are not included with this product. The Ultra Elite mask provides the wearer with increased comfort due to its ergonomic design, 5-point harness and the ability to be quickly put on and taken off. Its large lens also means the user has a distortion-free field of vision. This particular version has a rubber face blank, comes with an EN 148-1 round thread Rd 40 connection and is available in a smaller size. The rubber face blank is a standard model with speech diaphragm and a carrying strap. 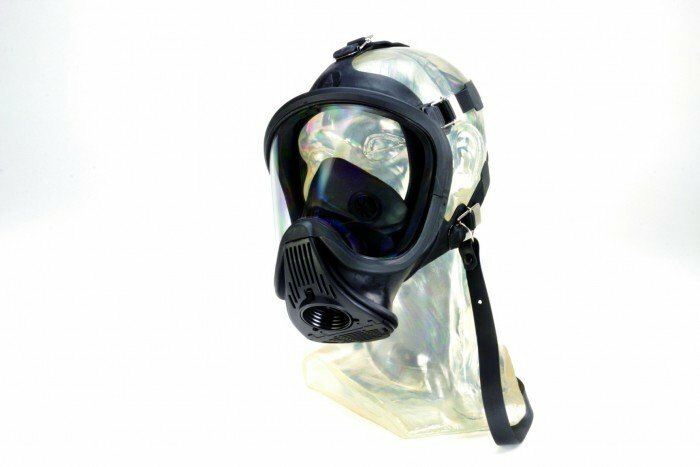 The user of the Ultra Elite can experience two-way breathing and can use it for respiratory filters, airline breathing apparatus, normal pressure compressed air breathing apparatus and turbo filtering devices. Available in 40 different versions to cater for different applications, all Ultra Elite masks are approved according to EN 136 class 3. Connector Round thread Rd40 connection (EN148-1). For respiratory filters, airline breathing apparatus and normal pressure compressed air breathing apparatus and turbo filtering devices. Lens Material Silicate coating on both sides and distortion-free, large field of vision. Approvals Tested and certified according to EN 136 class 3. All full face masks Ultra Elite with CE mark.